本公司與香港證券及投資學會(HKSI)並無任何關係。本公司提供的學習資料也與香港證券及投資學會(HKSI)無關。證券考試模擬試題卷(一)與香港證券及投資學會(HKSI)提供的Past Paper 並無任何關係。香港證券及投資學會(HKSI) 亦沒有出售任何HKSI Past Paper 或　HKSI Mock Paper, HKSI 真題, HKSI 試題, HKSI Pass Paper, HKSI 題目, HKSI 考題, HKSI 模擬試題，敬請留意。香港證券及投資學會(HKSI) 也不提供任何類型的收費的模擬試題Pass Paper下載 download, pdf, doc. 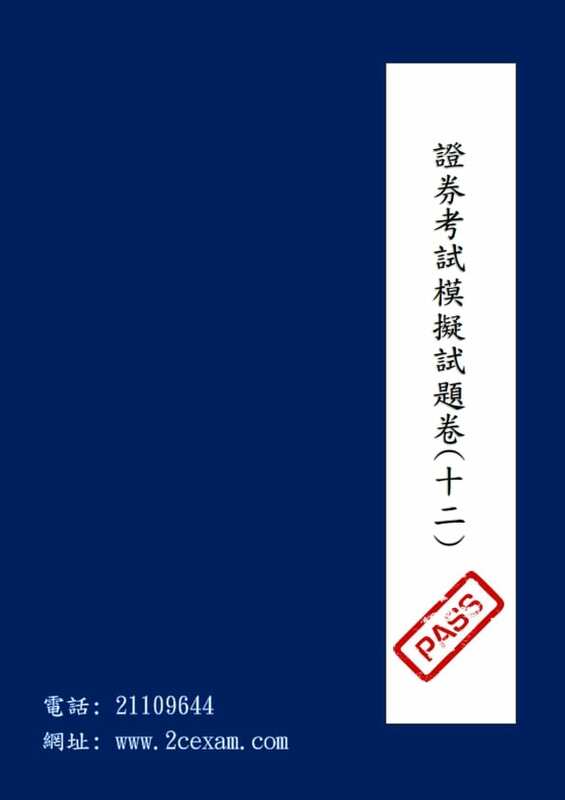 如何從中環港鐵站到達 2CEXAM? How to reach 2CEXAM from MTR Central Station? 無需上網，方便可靠! Our physical store at your convenience!